This guy looks absolutely gorgeous in Kiken na Aneki..totally kakkoii! I saw him in Swing Girls too, and he didn't look very good in that movie, sadly. Some one should change the display picture, it doesn't do him justice. Is he always the cute guy that never seems to get a girlfriend in dramas? I have no idea, but I look forward to seeing him act in more roles. He seems to have some sort of nice aura around him. 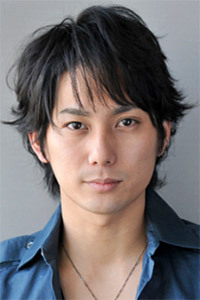 hiraoka yuuta is cool i have seen him in kiken an aneki and along wiht misaki ito he was a good actor...they are twins right? a pretty amazing actor with such talents. he possess a cool, yet laidback attitude. meant for so much more! If it wasn't for him in First Kiss I would have stopped watching the drama..he's so cute!